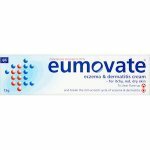 Dermol Cream is an antimicrobial and emollient (softening and moisturising) treatment for dry and itchy skin conditions, especially eczema and dermatitis. 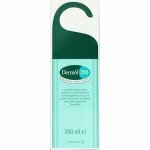 Dermol Cream is an antimicrobial and emollient (softening and moisturising) treatment for application to dry or problem skin. 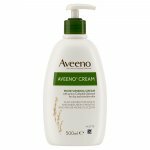 It helps treat and prevent dry and itchy (pruritic) skin conditions, especially eczema and dermatitis. All age groups can use Dermol Cream, including babies. 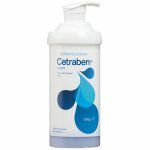 Benzalkonium chloride and chlorhexidine dihydrochloride are antimicrobials, these help to: combat bacteria present on your skin that can make eczema worse and prevent infection caused by scratching itchy skin. Liquid paraffin and isopropyl myristate are emollients which help to: soften, moisturise and protect your skin by trapping moisture in the skin and restoring the normal protective function of the skin and prevent the skin-drying and irritant effects that can be caused by washing and bathing and by the soaps, foaming additives and fragrances used in ordinary skin cleansing products. 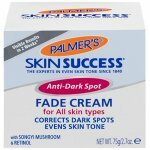 This product can be used in addition to any other emollients or treatments your doctor or pharmacist may have given or prescribed for you to treat your dry skin condition. When bathing, try to use warm, not hot, water and avoid staying in the bath for long periods. This could make dry skin conditions worse. Try to avoid using normal soaps or shower products (even those labelled “moisturising”). This is because they tend to dry and irritate the skin. Avoid using products containing fragrances, as these can also cause skin problems. You should try to use a fragrance-free emollient “soap substitute” instead. 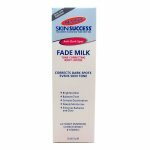 This type of product will not foam or lather but will be better for your dry skin condition. Breaking the itch-scratch cycle. Some dry skin conditions like eczema and dermatitis are itchy, and can be quite sore. Use it only on the skin. For maximum benefit you should use it on a regular basis and as often as required. Apply Dermol Cream to the affected areas. Gently smooth into the skin. If necessary, allow time for any excess to soak in. Do not rub the skin vigorously. If you are applying another treatment to the same areas of skin as Dermol Cream, try to avoid mixing the two products. This can be achieved by applying the treatments alternately, leaving sufficient time to allow the previous application to soak in. 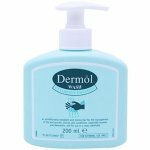 Use Dermol Cream to wash with instead of your ordinary soap or shower gel. It will not foam or lather like ordinary cosmetic products. After washing, bathing or showering, pat the skin dry with a soft towel (avoid rubbing as this can make dry skin conditions worse). Do not use Dermol Cream if you are allergic (hypersensitive) to benzalkonium chloride, chlorhexidine dihydrochloride, liquid paraffin, isopropyl myristate, or any of the other ingredients of Dermol Cream. For patients with very sensitive skin, it is generally a good idea to start any new treatment on a small test area first, in case any side effect occurs. This is especially important when treating the face or young children. Thereafter, treatments may be applied more generously, as required. Avoid getting it in the eyes, especially when using it on the face. When used as a soap substitute in the bath or shower the product can make the surface slippery, so be careful to avoid slipping over when getting into and out of your shower or bath (eg by using a shower or bath mat). The product contains cetostearyl alcohol. This ingredient may cause local skin reactions (eg contact dermatitis) in a small number of sensitive people. If you have been told by your doctor that you are sensitive to cetostearyl alcohol, please talk to your doctor before using this product. The product may cause irritation if it gets into the eyes. Rinse the eyes with plenty of water. If rinsing one eye, take care to avoid washing product into the other eye. If irritation persists, seek medical advice. Like all medicines, Dermol Cream can cause side effects, although not everybody gets them. 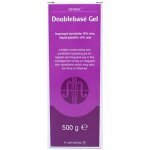 This product has been specially designed for use on dry or problem skin areas anywhere on the body, but in some very rare cases it can cause local skin reactions (involving redness, irritation and/or itching). Reactions may occasionally occur if used excessively as a leave-on application in areas of folded skin such as the groin area. If any of the side effects become unacceptable, or you notice any other side effects not mentioned in this leaflet. If you accidentally swallow the product and you then feel unwell, seek medical attention. Do not attempt to cause vomiting. 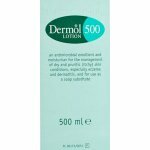 Do not use Dermol Cream after the expiry date shown on the container and carton. The expiry date refers to the last day of that month. In the case of the 500 g bottle, it is advisable to turn the top of the pump dispenser clockwise to lock it. Benzalkonium chloride (0.1% w/w), chlorhexidine dihydrochloride (0.1% w/w), liquid paraffin (10% w/w) and isopropyl myristate (10% w/w), cetostearyl alcohol, glycerol, cetomacrogol 1000, phenoxyethanol, disodium phosphate dodecahydrate, sodium dihydrogen phosphate dihydrate and purified water.